A simplified model of a future mobile home! 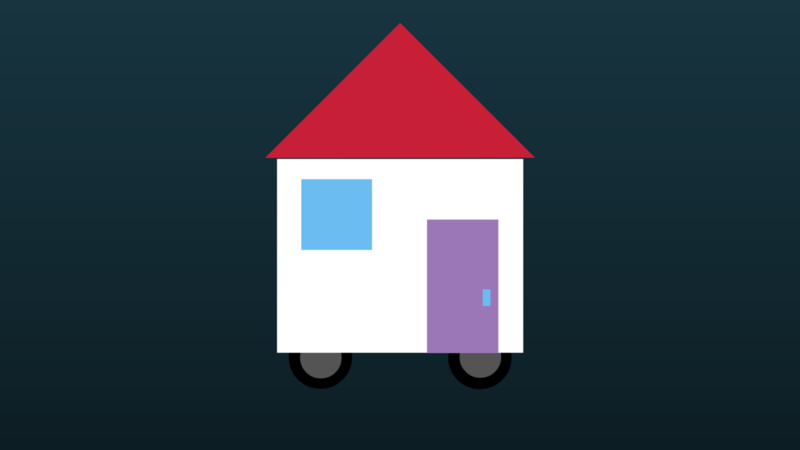 If autonomous cars are coming to the world soon, then why not mobile autonomous homes? Maybe a future RV wouldn’t resemble the RVs that exist today. The following story tries to plunge you into a future where we could be physically on the move while we rest. A future where we would be constantly on the road without ever having to deal with … the road. Imagine for a second that you didn’t rent or own a brick and mortar home and you didn’t own a car, but instead rented a moving studio from a Google-Toyota partnership. Let’s see what your day would look like. You woke up a little ticked today because you’d been relocated to a different parking building during your sleep. You have your location settings on “economical”, so occasionally they relocate you to lower income areas when your integrated calendar is empty. But that’s ok, you don’t work today and the setting saves you money every month. You’re just upset because you’re too far from your favorite waffle sandwich joint and you woke up with a bit of a craving. Meh. You’re in a rectangular studio with shut windows all around you. Nothing about the inside of your home indicates to it being automotive. The area where the driver’s seat would be is where you like to have your desk. This way you can get a nice dynamic view when you’re sitting at your desk. A water boiler and a microwave hang on one of the walls behind you on the left and are relatively close to the desk. At the very back is the shower and toilet compartment. Out of the fourth wall flips a Swedish mattress. This is where you woke up! The automotive component of your home is run by the company, you’re only allowed to set destinations and sometimes enter hurry commands at an upcharge. It receives regular maintenance every month and sometimes (rarely) unscheduled, emergency ones. On your to-do list today, or rather your home’s to-do list, is a laundry drop off and a grocery pick up: coffee filters and toilet paper. You add those tasks to your integrated planner as well as a specific location you’d like to be dropped off at 1:40 pm, with the return time left open. You notice how nice the weather is on your way to the back of your rectangular home to take a shower. By the time you’re done, the coffee filters and toilet paper you’ve ordered have already been picked up by your home and their price debited from your allocated monthly budget for supplies. You find them in a mailbox/trunk hybrid next to your water boiler and microwave. You decide to set the laundry drop off to a “do while away” status and you go to the drop off location an hour early. You’re then alerted by your navigation system that speeding your itinerary means you won’t be optimizing your route by price but that instead you’ll need to use the more costly fast lane. You decide, it’s worth it as you override your default economy setting. The place you get dropped off at is a complex void of any cars designed only for pedestrians and mechanical forms of transportation. It covers an area of 4 square miles. These complexes compensate for the automated mecca the world has become; where people go to be pedestrians. You sit down in a shaded area in some shaved grass and you work on your computer while waiting for your friend to arrive. An hour later, you and your friend are in the middle of your lunch when you get contacted by another friend who is on his way to the lake. He offers to pick you both up on his way. You’re happy to go to the lake, especially in that friend’s mobile home. It’s a convertible family size model with a roof terrace. You still have work to do that evening however, so you pass on his offer. You then get an alert from one of your apps. You’ve gotten an offer to put your mobile home to work while you’re gone because of a surge in deliveries in the city. This occasionally happens and while it doesn’t bring in a lot of money, it gives you a fair amount of credits redeemable for coffee filters and toilet paper. You also turn this down because you’re ready to go back home. You wish there was an option for that service to run while you’re in the vehicle. Currently they don’t allow it for safety and privacy reasons. You schedule a pick up from the complex. Your home will be there to pick you up in half an hour. You say farewell to your friend and set off to the allocated pick up spot. The pick up process is efficient. You go into this structure that has three levels above ground and three underground. A screen at the entrance tells you where and when your vehicle will be there. If you miss your boarding window, you’ll pay a fine and will have to wait for another 15 minutes at least! Back in your future home, you sit on your computer and you start thinking about the place you’re gonna garage for the night. You want something economical and scenic. Meanwhile you receive a notification that Sunday after next is a special day. The Google-Toyota partnership is offering to cover your gas to stay in another city in the state in an effort to make room for visitors attending a large sports event in your city. You love when that happens because you’re not a big sports fan and you get to go to the beach for free. You quickly agree to take the trip and notify your friends to do the same. After you’re done with your work, you decide to take a nap. You quickly fall asleep watching Fast and Furious.